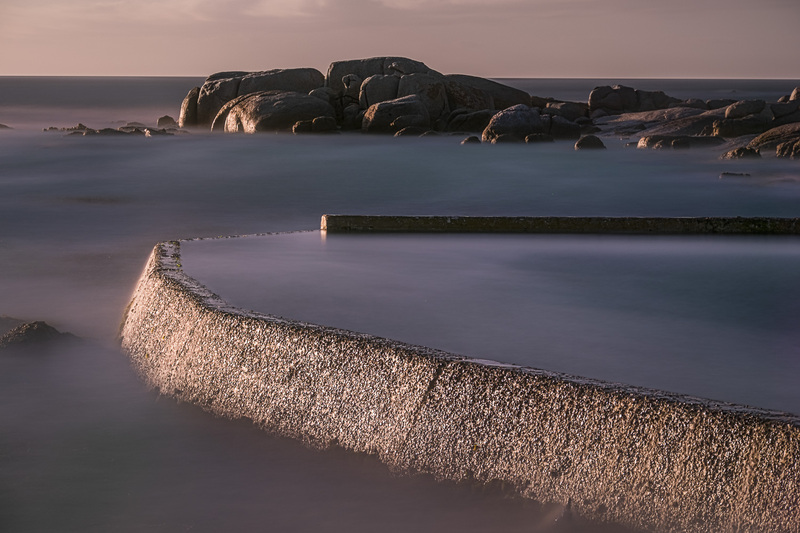 Today’s photograph: All along the False Bay coast of the Cape peninsula there are specially built sea pools, designed to keep kids safe from waves (and possibly sharks). This is one of the most elaborate, at Miller’s point, near Simonstown. I took this last December, as part of a series on the granite boulders of this area. It was taken at dawn, and my eye was caught by the silvery shimmer on the sea wall of the pool.